While there have been times in life where a complete refund of one’s time and attention would be appreciated, such as for the first season of AMC’s The Killing, which swore up and down to deliver an answer to its central mystery and then tossed those promises out the window once a second season came into the picture. But there’s no one to get money back from that particular kind of false advertising. New Zealander J. Congdon, the New Zealand Herald reports, filed a complaint with the Advertising Standards Authority against Paramount Pictures because whenever he went to the theater to watch the Tom Cruise thriller Jack Reacher, it didn’t contain a split second explosion shown in the film’s trailer. 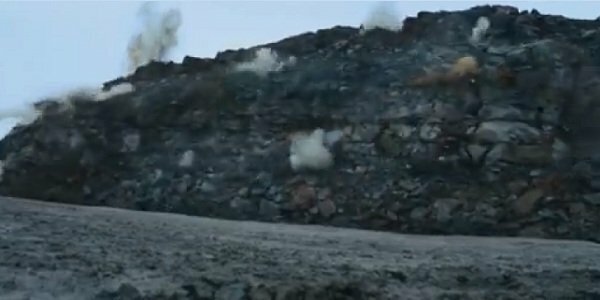 Now before anyone points any fingers calling the guy petty, let it be known that the “explosion where the whole cliff comes down” was “the defining part of the ad that made me really want to go see the movie… aside from having Tom Cruise in it,” as Congdon put it. So clearly the death of both morals and intentions were witnessed here. Paramount defended the trailer, pointing out that most films for highly anticipated films are put together months before final edits have taken place, and it’s common practice to leave a few previously shown bits out of the final product. They pointed to two other moments in the trailer that weren’t in the theatrical cut that didn’t affect Congdon’s filmgoing experience at all. Or to hear them say it, “The explosion in question was a single split-second element omitted form a 130-minute long action film and [we] believe that, taken as a whole, the impression created by the advertisement was a true and fair reflection of the film which could not reasonably be considered misleading or deceptive to customers.” What a mouthful. And when the one single speck of dust from this ordeal hit the floor, Paramount offered the man a full refund for his movie ticket, and the man took it. Kaboom! Check out the entire trailer in question below.